“Our mission is to work towards creating a culture of waste prevention and towards healthy economic production and consumption”. The concept behind a Library of Things is that it enables people to borrow instead of buying items which are only sometimes or occasionally needed, such as DIY tools, outdoors and sports equipment, domestic and cooking equipment, etc. By so doing we encourage – and facilitate – the avoidance of waste, and save space, money, and the environment. The need to reduce the scale of unnecessary production and consumption and reduce the impact of waste on the environment is, in part, answered through putting into practice ideas that are conceptualised as the circular economy, the sharing economy, zero waste, minimalism, and more. There are many people who do not have the financial resources in any case to acquire the use of ‘things’ that will enable them to improve their lives, improve their personal environment, maintain or repair or repurpose items they do have the use of, and learn or practice skills that they would like to. Through the LoT we hope to help people to address all these issues. The ‘things’ in the LoT will be chosen and lent out at affordable rates to anyone who chooses to become a member of the Oxford LoT. We will attempt to ensure that the ‘things’ are of reasonable quality, in good condition, and well maintained. We will encourage members to respect this ethos. In addition we will encourage members to participate in the functioning of the LoT, and to become advocates for it and the ideas that underpin it. Through this ‘community of borrowers’, we want to enable users and members to come together to borrow, to share their items, to meet like-minded people, and to learn about sustainability, zero-waste, the circular economy, and the sharing economy. As a co-operative, we seek to work together democratically. We also seek to learn from members their own ideas in this area. We seek for members also to become volunteers in roles that suit them and are needed by the LoT in order both to support the sustainability of the LoT and to expand the volunteers’ own skills and opportunities. 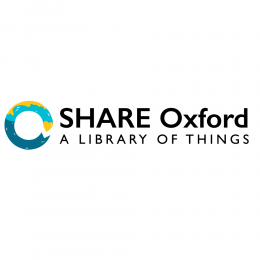 By holding meetings, workshops, community events such as repair cafes, and through relevant social activities, we intend to stimulate a feeling of community among the workers, volunteers and members, and also to find a place within the various communities that work or live in Oxford and thereby to strengthen those communities.